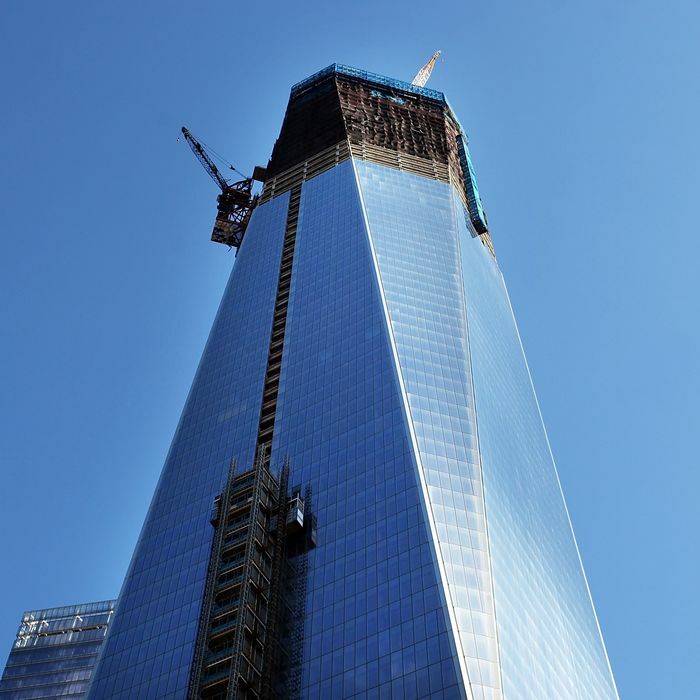 The skyscraper formerly known as the Freedom Tower is already the tallest building in New York City, but its planned final height — a symbolic 1,776 feet — may come up short because of a technicality. In hopes of saving about $20 million and avoiding potentially dangerous maintenance, the building’s developer Douglas Durst is scrapping the architects’ plan to surround the antenna on top “with an ornamental white shell,” the Journal reports. The designers are pissed, but Durst insists, “They should have done a better job designing it,” and says it’s “not the end of the world.” One World Trade Center is 1,368 feet to the roof, which would make it the third-tallest building in North America, while the addition could bring it to number one. According to the rules, architectural spires count toward final height, but plain functional antennas do not, although the Council on Tall Buildings and Urban Habitat will make the final ruling when the tower is done. Maybe they could just give us this one.